Hajj and Umrah are Islamic pilgrimages to Mecca, the holiest city in the religion of Islam. For Muslims, it is obligatory to head to Mecca if they have the physical and financial means. If you intend to perform your Hajj or Umrah, it is mandatory for you to undergo Meningococcal vaccination. This vaccination boosts your immunity and protects your body from meningococcal bacteria. This gram-negative bacterium can result in meningitis and also cause several other forms of meningococcal diseases like sepsis which can be deadly if not treated or properly. Thus, it would be essential to receive a vaccine from an accredited vaccination clinic in Singapore before embarking on your Hajj and Umrah pilgrims. Before heading to Mecca for Hajj or Umrah, get Meningococcal vaccination at The Clinic Group, the premier corporate medical group that strives to make quality healthcare services accessible and affordable for all in Singapore. Our highly skilled and professional team recognize the importance of protecting our immunity. That's why we have a full suite of medical services that are geared towards preserving good health and combating deadly illnesses and diseases. Whether you are heading to Mecca for Hajj or Umrah or other regions around the world, we have the most appropriate vaccinations to ensure that your health is in tip-top condition. Click here to view our travel vaccination treatments. Furthermore, The Clinic Group prides itself on offering a broad spectrum of medical treatments and services that are affordable. We believe in making healthcare accessible for all - thus, you can count on us for competitive prices. 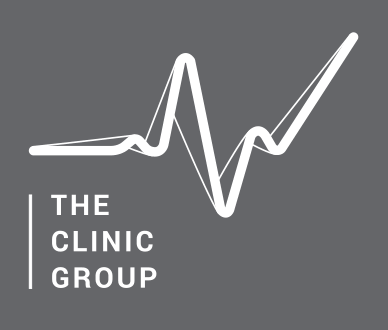 In addition, The Clinic Group has numerous outlets throughout Singapore at areas including Tai Seng, Marina One and Fusionopolis. Should you have any questions, click here to submit a message on our online inquiry form. We will be in touch.